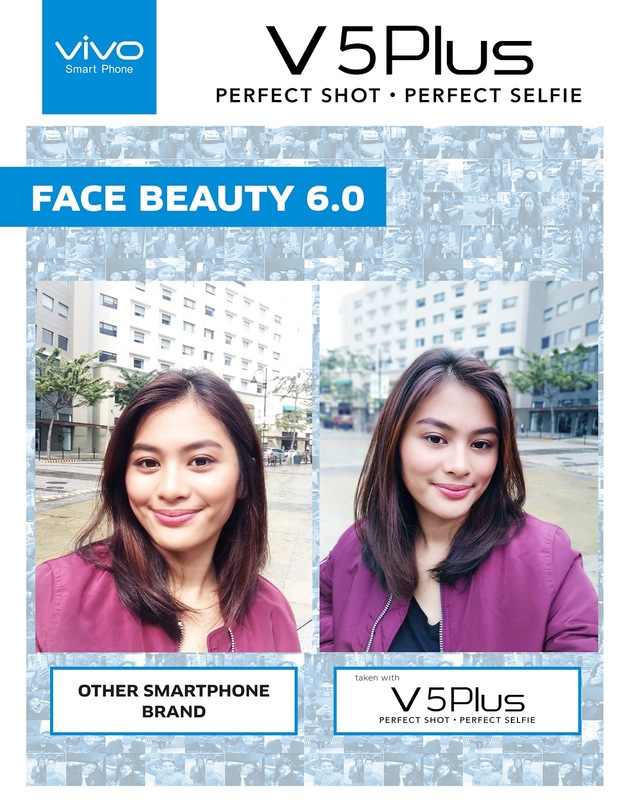 The face beauty mode 6.0 of the Vivo V5 Plus can remove blemishes and enhance skin tone on-the-spot, eliminating the need for filters or editing. Filipinos are certified selfie lovers, as proven by a recent study by TIME, which found that Makati City is the world’s “selfie capital”, and the cities of Cebu, Quezon and Iloilo belong to the top 100 “selfiest cities” across the globe. Taking a selfie is an integral part of the lives of millions of Filipinos from all walks of life, which is why they continue to search for the best selfie phone available in the market. With the world’s first 20-megapixel dual front camera, Vivo V5 Plus can produce high-definition selfies better than the average smartphone. The entry of top five premium global brand1 Vivo’s flagship phone, Vivo V5 Plus, in the local market marks the end of this search. Dubbed as the perfect selfie phone, the Vivo V5 Plus is equipped with the most advanced selfie technology to date, expected to impress selfie- and smartphone-enthusiasts all over the world. 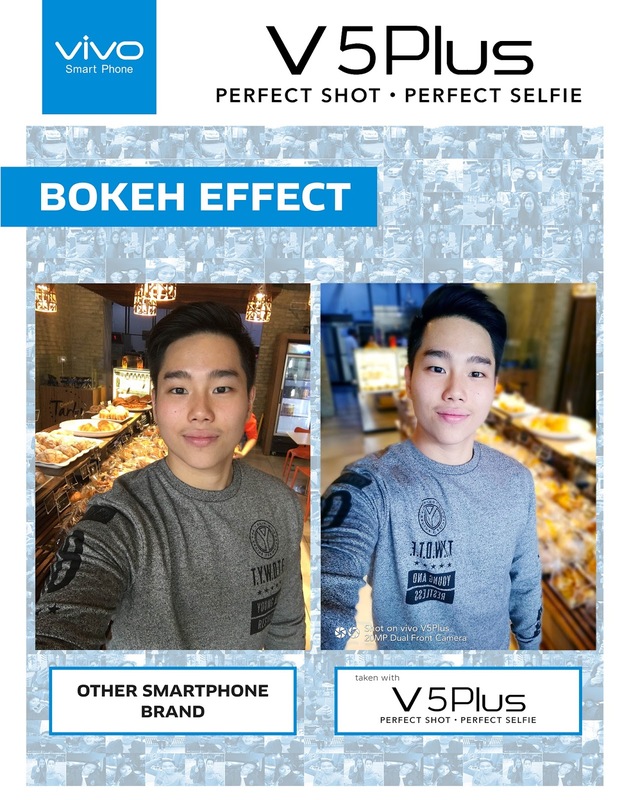 Vivo V5 Plus perfect selfie phone features the true ‘bokeh’ effect, allowing users to beautifully blur photo backgrounds while keeping the details of the object in focus sharp and clear. Here, Vivo shares five reasons why the Vivo V5 Plus deserves its tag as the perfect selfie phone. • The world’s first 20MP dual front camera. After intensive research and development, Vivo finally came up with the perfect front camera for selfie lovers. 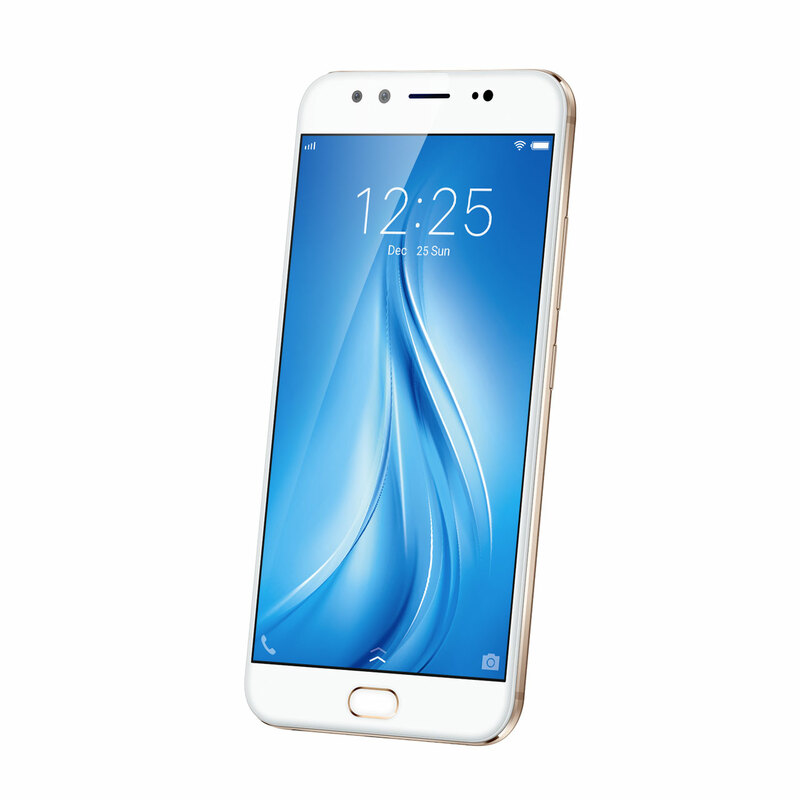 If you think that a 16-megapixel camera is impressive, then prepare to be blown away by the Vivo V5 Plus’ front camera: a 20-megapixel and 8-megapixel combo—the first of its kind. A total of 200 engineers from Vivo and its partner organizations spent eight months in developing this dual front camera, creating an algorithm specially designed for beautiful portrait shots. • The true ‘bokeh’ effect. Vivo’s dual front camera consists of a primary (20MP) and a secondary (8MP) camera, with the latter focused on collecting depth-of-field information. The result? An accurate separation of objects based on their distance from the camera lens. This means that the subject in focus is separated from the background, achieving the true bokeh or background-blurring effect, on the spot. Selfie lovers can now take perfect selfies even in poor lighting conditions with Vivo V5 Plus’ selfie soft light. To achieve this, Vivo engineers studied the blurring effects of 96 large aperture SLR camera lenses, simulated each of them in the V5 Plus smartphone algorithm, and added special enhancements to produce even better selfie results. • The selfie soft light. 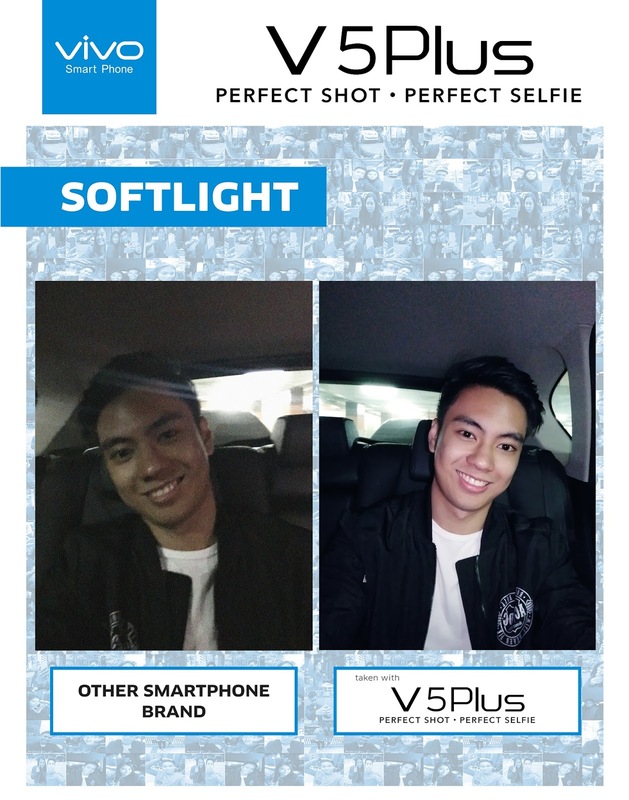 With the Vivo V5 Plus’ selfie soft light, beautiful self-shots can be taken even at night or in poor lighting conditions. The lighting and brightness of every selfie photo is enhanced, on the spot—with no need for an ‘edit’ button. • The face beauty mode 6.0. With the Vivo V5 Plus’ face beauty mode 6.0, whitening and skin tone enhancements of your selfies are easily done. The face beauty mode 6.0 also “erases” blemishes, making skin look either fair or rosy—your choice. • Other advanced phone features. The Vivo V5 Plus is called a ‘perfect’ selfie phone because its advanced camera features are supplemented by other positive attributes such as amazing style, speed, and performance. With its 4GB RAM, 64GB ROM, Qualcom Snapdragon 625 processor, and Funtouch 3.0 OS, you can be sure that this Vivo phone has superior power and efficiency. 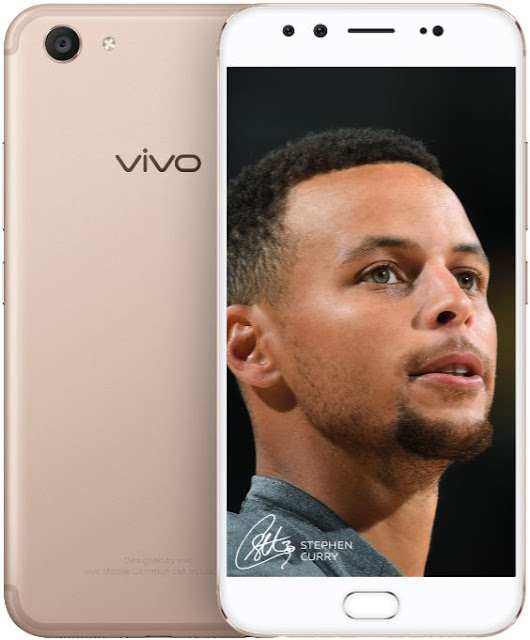 The Stephen Curry-endorsed Vivo V5 Plus is equipped with the most advanced selfie technology to date. The Vivo V5 Plus also has a long-lasting battery, at 3160 mAh, and a fast-charging feature. Thus, you never have to worry about your phone running out of juice. With an ultra-slim bezel technology, the Vivo V5 Plus is light and handy, making the act of selfie-taking even easier. With all these and more, the Vivo V5 Plus truly has the most advanced selfie technology to date. And, as a welcome bonus, the newest Vivo phone is priced at only P19,990. No doubt, the V5 Plus deserves the ‘perfect selfie phone’ title.